Logitech has just introduced ‘Pop Home Switch’, a simple hardware-based product that not only puts smart control at the fingertips of multiple users, but also ensures that everyone in the family has the power to control their smart home without having access to a connected smartphone. In short, the ‘Pop Home Switch’ and accompanying ‘Pop Add-On Home Switch’ offers support and compatibility with a range of connected home automation accessories in order to control those devices directly with a physical button. 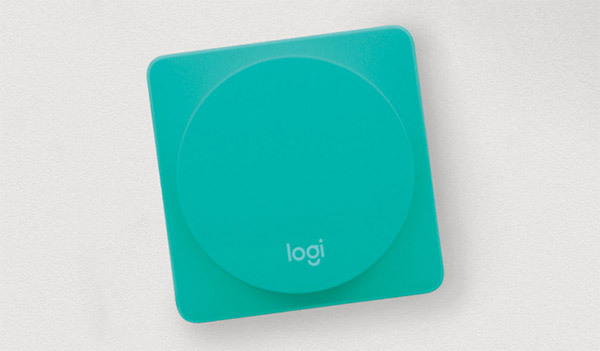 The concept behind the new Logitech hardware is very simple, and will actually make sense when installed in the home. Each switch is capable of being pre-set with three different actions, which are triggered by interacting with the switch in a different manner. So, as an example, a single press on the Pop Home Switch could trigger a certain lightning scene in the home to become active with Philips Hue bulbs. A double switch press could start playing a specific SONOS playlist, and a long press on the switch could unlock a door controlled by an intelligent, compatible door lock such as those from August. Of course, homes aren’t limited to just one switch, so it’s theoretically possible to have multiple and different actions set up around the home in different rooms. Those looking for a solution of this nature will also love the setup process. There’s a accompanying Pop app for iOS and Android as well that scans the local Wi-Fi network for compatible devices. 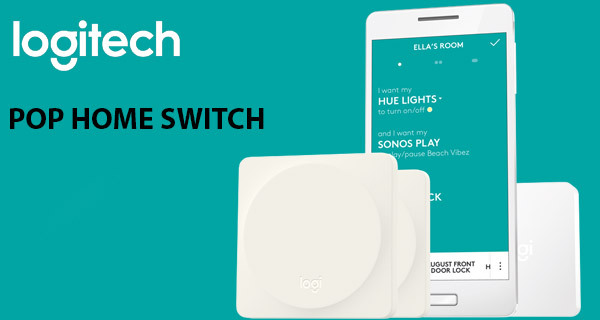 Those discovered devices – such as a Hue Go lamp or a connected SONOS speaker or a August Smart Lock – can then be assigned to a Pop Home Switch and used with the aforementioned interactions. Compatibility with existing devices is also fairly impressive from the get-go. Logitech is offering support for Philips Hue lights, SONOS speakers, August intelligent locks, Lutron smart drapes, and even LIFX connected bulbs if Hue isn’t your thing. Logitech is offering the Pop Home Switch Starter Pack in 4 different colors for $99.99, which ships with two Pop Home Switch units and a single Bluetooth hub. Additional switches can be purchased for $39.99 each. Pre-orders for the hardware begin immediately from Logitech with the company looking to ship the new devices out by the end of this month.